Well, I'm resuming this blog now, the name however I could not quite find out how to change, but I guess that doesn't matter. So, why are we here again, well, I'm going to travel down under again, and then some more. I leave tomorrow the 28th of December headed for Sydney and New Years Eve there. I'll probably spend about a month or so in Australia before I head on to Fiji, Bali, Malaysia, Singapore, Thailand, Cambodia, Laos, Vietnam, South Korea, Japan. Then for the next leg of the tour I'll go to south America to see the Inca/Mayan/Aztec ruins, so Brazil, Peru, Mexico maybe Bolivia? Next in line might be some island is the Caribbean. Finally I'll go to the US to see Los Angeles, Las Vegas, San Fransico, and maybe other places in California. After this there is a wedding in Chicago I'm going to, and the last stop before returning home is probably New York. I'll be gone from the 28th December, until the end of July. So a good seven months. A month or so in Australia, three months or so in southeast Asia, two months or so in south America and a month in the US. No pictures this time unless you really want to see me pack? Oh and for the lack on an itinerary, this is all very ad hoc. I've barely planned anything, kinda just figured out which countries I want to visit, and even that might change. Well for now, regards John. A small update on what's going on so far on day #1. Started out by taking the train at 0710 from Lillehammer, and leaving for Heathrow at 1130. 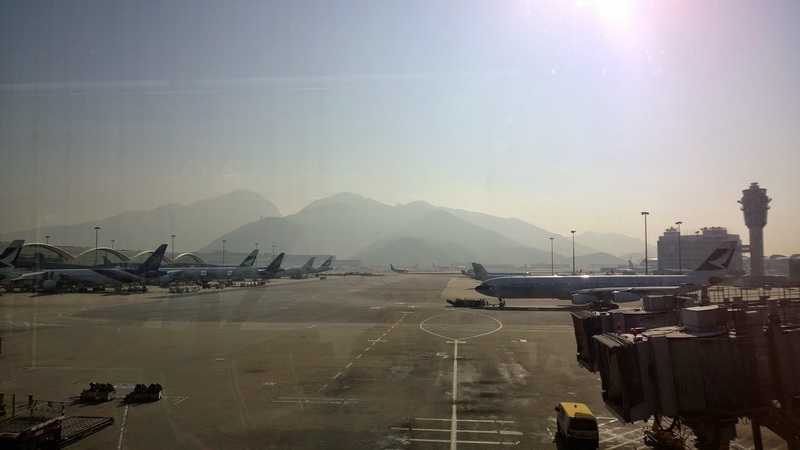 Damn, Gardemoen got nothing on Heathrow, and not on Hong Kong either where I am right now. Waiting for my connecting flight to Sydney. Both of these flights are like 12-14 hours something? Haven't really paid attention. So anything interesting happened yet? Well not really, met an American in the security line at Gardemoen (Oslo airport) that had to chuck a bottle of fish oil (Tran) go get below the 100ml liquid limit xD Oh also, when goign through the passport control I discovered I was issued the wrong boarding pass, so suddenly my name was Mr. Gran and only headed for London. Anyhow, no problem getting that sorted at the gate. Oh yeah, hello from Hong Kong! Quite the nice view actually greeting you! 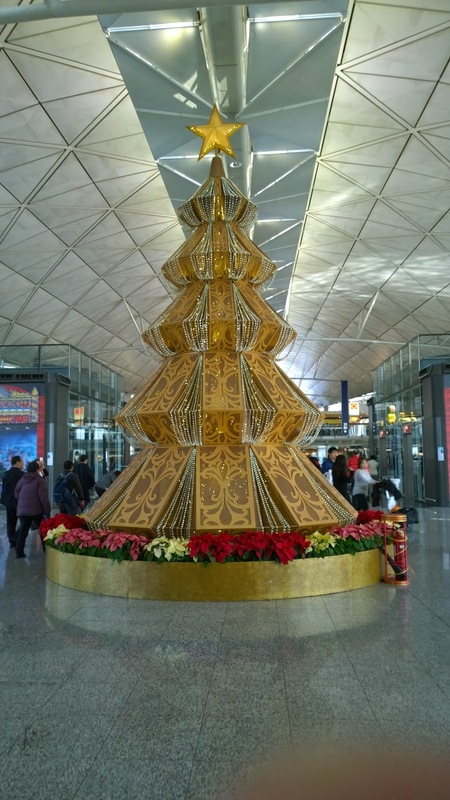 Also Christmas tree and songs over the speakers. 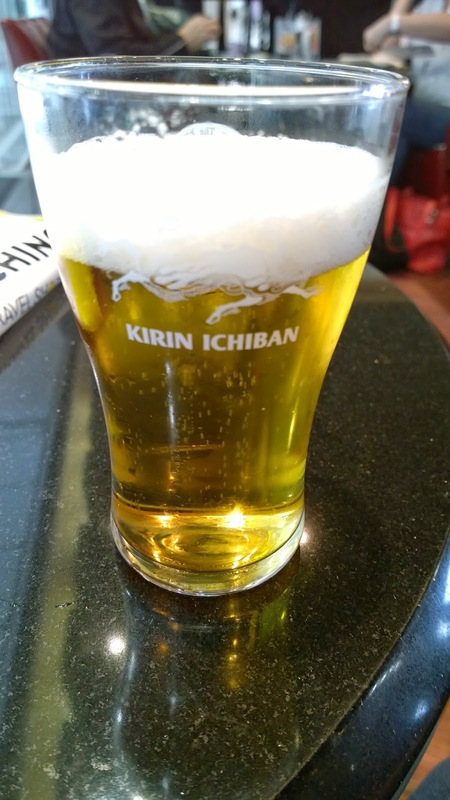 Tried a special beer called, Kirin Ichiban Frozen, where parts of the foam was frozen, quite funky!